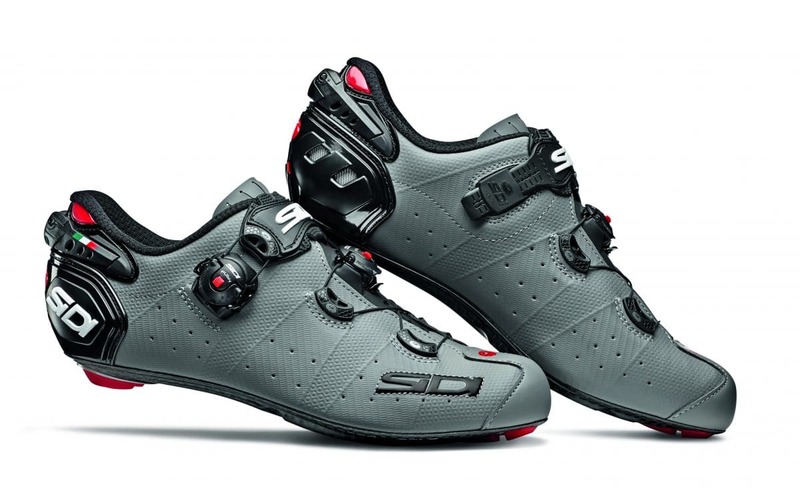 After teasing us at Eurobike, Sidi has released an updated version of the classic Wire model. However, the Wire 2 follows in the footsteps of the Sidi Shot, with the lower Tecno 3 Push Dial centered on the padded tongue to prevent unwanted tension on the side of the foot and to provide a more secure fit with equal tension. The textured microfiber upper is available in a new matte gray, matte black and white as well as the special order colors listed below. Known for their comfort and durability the Ergo line has proven itself for over a decade. The Ergo 5 is a refined version of Sidi’s most popular model. Featuring Sidi’s improved Techpro synthetic leather, and an all-new heel cup designed to provide better heel retention and save weight over previous versions. They are constructed with The Sidi Twelve Carbon composite sole, chosen for its ideal blend of stiffness and all-day comfort. We are excited about the Ergo 5’s and the Wire 2’s arriving at our office for testing and more in-depth reviews.